Please get in touch with Jackie directly at jackie@lucyslovebus.org or 978-764-4300 if you have any additional questions. 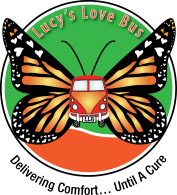 The BEST way to help the family is to direct them to our application at lucyslovebus.org/application. This is the fastest way to get them connected to therapies. The following are questions about the family and child so that we can get in touch with them as soon as possible. Please fill out as much of the following information as you feel comfortable sharing, and only with the family's permission. Knowing a child's state of residence will allow us to immediately assess how much funding we can offer the child, and additional information such as age and therapies of choice will allow us to begin the process of searching for a perfect person to work with them. By clicking here, I certify that any information provided about the family is shared with their permission. Guardian's preferred method of contact? Please get in touch with this family directly to discuss next steps. This child needs services in their home. This child needs services at a wheelchair-accessible location. We must secure a medical permission form signed by the child's oncologist clearing his/her participation in the therapy of his/her choice. Please click here to download that permission form; it can be sent to us by fax/email/mail separately from their complete application from your directly, but must be received before the child begins services. If you have a signed medical permission form for this child, please upload here.